The UK Government’s overriding priorities with regards to energy policy are to deliver secure, reliable, clean, affordable energy. Delivering on these priorities presents policy-makers in Government with a ‘trilemma’: how can the UK decarbonise its energy system to meet the legally binding targets under the Climate Change Act and international commitments, whilst ensuring both security of supply and that energy is affordable for consumers? Panellists at the Policy Forum event considered the dimensions of this ‘trilemma’ and how this can be delivered upon in the context of the UK’s vote to leave the European Union (‘Brexit’). Panellists considered different scales over the course of the discussion: the interconnections between European and UK energy systems, to the growing contribution made by energy generation at regional, city, community and individual level to the UK’s energy mix. Listen to the audio recording of the panel discussion and audience questions. 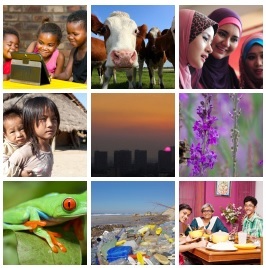 Read a summary of the discussion on the 21st Century Challenges blog. Professor Gordon Walker, Co-Director of the DEMAND Centre at Lancaster University, discusses the transition to ‘local, smart and integrated’ energy systems at regional and community level and the importance of geographical approaches to understanding energy transformations. Professor Mike Bradshaw, Professor of Global Energy at Warwick Business School, discusses how geographical perspectives can inform decision-making on the energy ‘trilemma’. Joseph Dutton, Associate Research Fellow at the University of Exeter, discusses the implications of Brexit for the UK’s energy system. Damian Carrington is the Head of Environment at the Guardian and the Observer. Previously he has worked at New Scientist, BBC News Online and the Financial Times. He has a PhD in Geology from the University of Edinburgh, where he also did post-doctoral research, and a degree in Earth Science from the University of Cambridge. Joseph is working on the politics of UK and European energy policy interactions. Previously he was a market reporter for commodities price reporting agency Argus Media, covering the UK wholesale gas market and upstream industry. Joseph has published research on the globalisation of UK gas supply, the development of shale gas in the UK and Europe, and the changing dynamics of global gas markets. In the past he worked on the Global Gas Security Project at the University of Leicester, and as an analyst in upstream oil and gas consultancy. 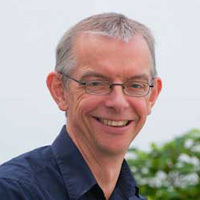 Gordon Walker is Co-Director of the Research Councils UK-funded DEMAND Centre (Dynamics of Energy, Mobility and Demand). The Centre takes a distinctive approach to end use energy demand, recognising that energy is not used for its own sake but as part of accomplishing social practices at home, at work and in moving around. Within the Centre, Gordon’s research focuses on how energy is related to notions of needs, rights and justice; studies the work of energy professionals using energy management and control systems; and examines the dynamics of energy use and everyday life. Gordon’s other diverse research interests include sustainability, social practice and transitions; the social dimensions of energy technologies and public engagement with community energy projects. Joan MacNaughton is Executive Chair of the ‘World Energy Trilemma’ (an initiative of the World Energy Council), an annual assessment of the quality of 129 countries’ energy policies. She is also Chair of the International Advisory Board of the Energy Academy of Europe and a Member of the Advisory Council for the Joint Institute for Strategic Energy Analysis in the United States. Since 2013, Joan has been Trustee of the Climate Group and became a Fellow of the International Emissions Trading Association in 2010. Following a career in the civil service, including positions as Director General for Energy and for International Energy Security, Joan MacNaughton joined Alstom, spearheading its advocacy for clean sustainable energy, and culminating in a year as the company’s Global Adviser on Sustainable Policies. Joan MacNaughton was made a Companion of the Order of the Bath by HM the Queen in 2006. Clive Maxwell has held his post as Director General, Energy Efficiency and Heat since February 2014, first at the Department of Energy and Climate Change and latterly at the Department for Business, Energy and Industrial Strategy, formed in July 2016 (DBEIS). Prior to taking up this role, Clive was the Chief Executive of the Office of Fair Trading from July 2012. Between 1992 – 2009, Clive held a number of roles at HM Treasury, including leading the response to the financial crisis. Clive’s responsibilities at DBEIS include the Smart Metering Implementation Programme, home and local energy and heat and business energy.